Wedding ceremony decorations can make a wedding really standout. 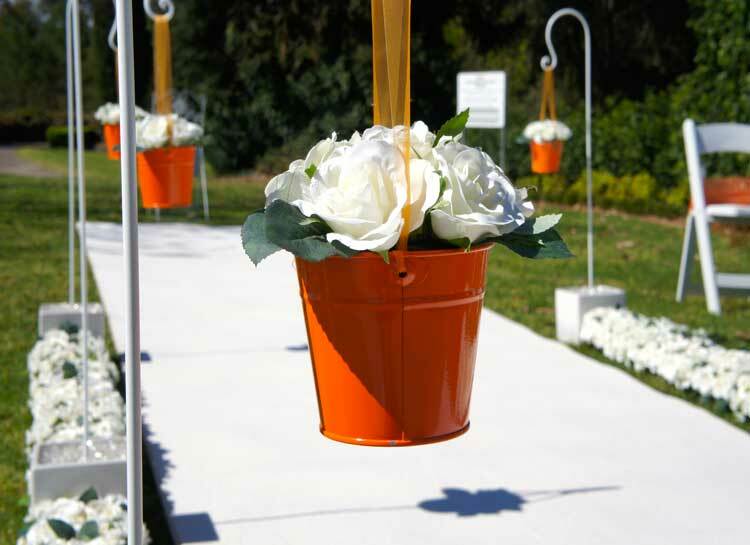 Aisle decorations, hanging chair decorations, floral beds and aisle runners are just a few ceremony decoration hire items that can transform a simple garden wedding into a beautiful occasion. When you’re venturing outdoors for your wedding ceremony you need to ensure your wedding ceremony decorations are sturdy and can withstand potentially windy conditions. This is one of the challenges of being outdoors. 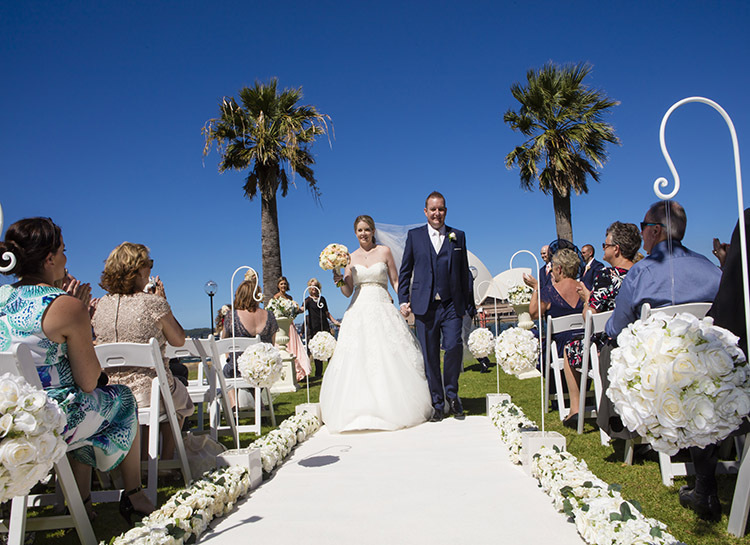 The weather can be unpredictable but that shouldn’t deter you, outdoor wedding ceremonies are a wonderful event and extremely popular in Sydney thanks to the stunning garden wedding locations and beautiful water views. A wedding ceremony decoration can be as simple as low lying floral aisle beds like in the image above or a rose petal aisle. 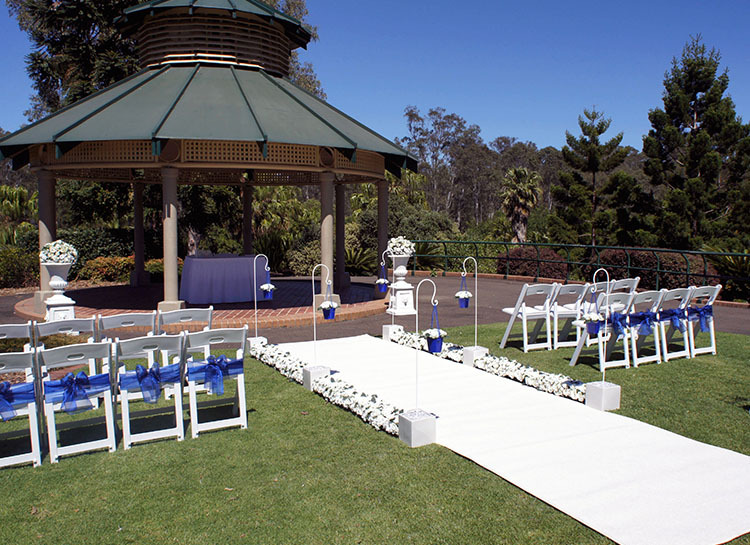 The wedding ceremony aisle is one of the most important features of the wedding setup. We ensure the ceremony aisle is wide, 1.5m wide to be exact, so there is comfortably enough space for 2 people to walk the aisle. We’re proud to say our aisle is the widest in the industry. This may sound like a small win but the difference is noticeable when a bride walks down the aisle for the first time. A wide aisle will not cramp the brides walk down the aisle and it looks stunning in the wedding photos. A great example is the first image on this page. That’s a 1.5m wide wedding ceremony aisle. Imagine if it was anything less!? You wouldn’t be able to walk 2 people side by side down the aisle without knocking the floral arrangements. Creating the perfect wedding ceremony aisle isn’t necessarily difficult but for an aisle to come alive and create a stunning effect you need a professional wedding ceremony decorations that are suited to the outdoors. At Adorable Wedding Concepts we have been creating wedding ceremony decoration packages and aisles for brides and grooms for over 15 years. The name Adorable Wedding Concepts is well know and highly regarded within the wedding industry for the excellent products and fantastic service. You don’t survive in the industry this long if you don’t know what you’re doing. You can line your wedding ceremony aisle in any number of ways. At Adorable Wedding Concepts we often go with a combination of low lying floral arrangements and aisle features and spread evenly along the aisle. In our experience this creates the most beautiful effect. A theme will often influence the style of wedding ceremony aisle a couple choose for their special day and there’s no criteria for what it should look like so you can be as creative as you like. Keep it minimal by using the natural grass and create a walkway using low lying floral beds or use something as simple as rose petals as a border. Ceremony decorations can break up floral arrangements and create a fantastic ceremony aisle. Whatever the style is you’re looking for, Adorable Wedding Concepts creates beautifully styled outdoor wedding ceremony aisles and we’re always looking for new inspiration and ideas from our brides. A key feature to Adorable Wedding Concepts aisle decorations is that none of our items require pinning to the ground. Why is this important you may ask? Well, venues such as the Royal Botanic Gardens and Hickson Road Reserve, do not allow the staking or pinning of items into the ground. This means unless you have a solid and sturdy base on which the aisle decorations sit, they are susceptible to mother nature and in particular, the wind. Our wedding ceremony decorations will not fall over even in the strongest of winds and because they’re not required to be pinned we can use them anywhere. We’d love to hear about your wedding ideas so if you’re considering an outdoor wedding ceremony aisle we’re happy to offer a free consultation and advice for your special day. 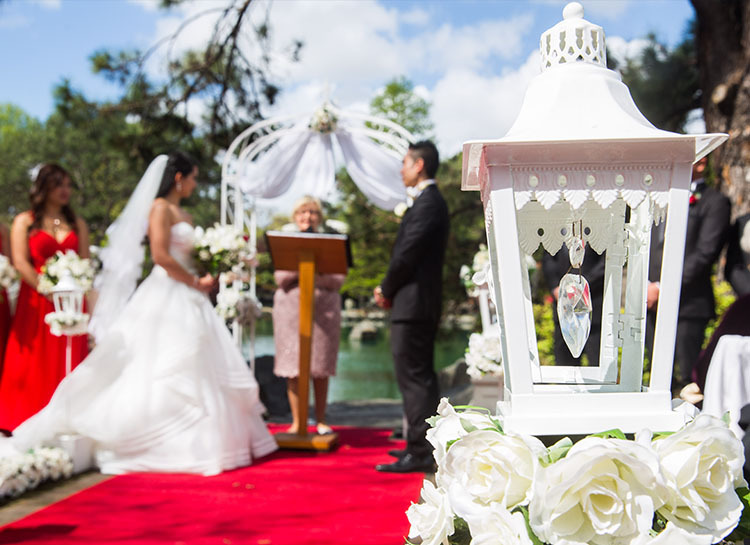 If you prefer to discuss your outdoor wedding ceremony, location or setting over the phone, you’re welcome to contact us for a free consultation on 0418 624 225.